4 Kitchens and Bedrooms is a family run business which has been re-fitting doors and drawer fronts to existing kitchens and bedrooms and installing complete kitchens and bedrooms for the last 13 years. We offer our customers a professional and personal service to maximise space and functionality. Our product is made to measure which means we can fit to any kitchen and bedroom regardless of the original supplier. Whether you would like a contemporary or classic look, we have a wide range of colours and designs for you to choose from. Our bedroom range offers fitted wardrobes, just doors or a sliding door option. We pride ourselves in giving a good quality service from start to finish, we have our own fitters, so we can assure a good quality service. We can supply kitchen worktops ranging from laminates, solid wood, quartz overlay, wharf seamless, solid quartz and granite. A supply only service is available if this is preferred. 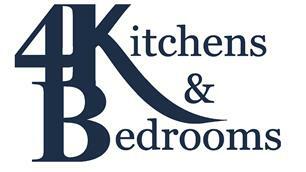 Our showroom is based Sidcup, showing kitchen and bedroom displays.